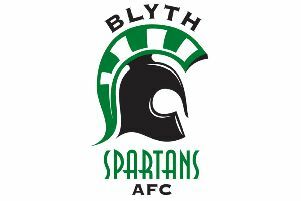 SPARTANS made the trip to Workington on Saturday, who were equal on points with the Spartans prior to the game, but who lead the Conference North table on goal difference. Manager Harry Dunn relied on the same starting line up as that which had done so well on Monday away at Worcester in the FA Trophy, even though they had bowed out on penalties. Spartans had started the brighter side, with Robert Dale hitting the wood work, and Liam Gildea forcing a good save out of Adam Collin in the home goal. But on the stroke of half-time the home side got their breakthrough. A counter-attack after Spartans had lost possession on the edge of the home penalty area, saw first half substitute Dean Douglass racing down the left wing with the ball before slotting home from the dead ball line through the legs of the unfortunate Adam Bartlett in the Spartans goal. On a heavy pitch and with the strong breeze at their backs the home side got their killer second goal only nine minutes into the second half. Anthony Wright getting his head to a right sided corner taken by Steve Birks. Before substitute Scott Bell could enter the action, the home side got their third. Again a smart counter attack saw Matt Henney beat Gareth Williams down the right before picking out Wright at the far post to head home. With a third of the game remaining, Spartans rallied with Dale and then Bell testing Collin in the home goal with good efforts. Saturday, December 30, Harrogate Town, home, 3pm. Blyth Spartans' fans celebrated their final away trip of the year in fancy dress. Elvis, Laurel and Hardy and Chewbacca, amongst others, were on the windswept terraces at Workington to see their team go down 3-0 to the League leaders. Although there was dressing up there was no dressing room dressing down for the players from manager Harry Dunn after the match. "I didn't go berserk but I did feel the players let themselves down," he said. "We had a game plan to play the ball from the back and stretch their defence in the first half with the wind but we failed to do it in terms of taking a first half advantage. Then, in the second period, we did the reverse! We should have been able to play more directly but instead we tried to pass it around. "They hunted the ball down better than us and I was more disappointed with the back four as much as anything." This is the first time Dunn has singled out the defence for any criticism this season as they have been consistently resolute and efficient. "The goals, at least the first two, were disappointing to concede," he added. “The first was a deflection off Andrew Leeson and for the second our keeper Adam Bartlett had his feet stood on which prevented him from jumping to claim the cross. A neutral calling in to Borough Park on Saturday afternoon would have been unlikely to be impressed with this top of the table clash. The swirling wind cut like a knife but the approach play from both teams was significantly less incisive. Dunn had hoped for better from his own side at least following the fine performance in the Worcester replay the previous Monday evening. “I kept faith with the team from Monday. The lads had had the rest of the week off from training in the hope of them being fresh for Saturday but it just didn’t work out,” he reflected. The Blyth boss has let former Hartlepool striker Andy Appleby go to Northern League Consett to regain fitness and hopes that once he has sharpened up he will return to Croft Park. In addition Scottish midfielder Paul Catto has been allowed to join Jarrow Roofing on a similar basis. Dunn will continue his search to strengthen his midfield and striking options this week as well as doing some homework on Saturday’s visitors to Croft Park – Kettering. Formerly managed, albeit briefly, by Paul Gasgoigne the full-timers will come north sitting in the Conference North in fifth place with the same number of points as the Spartans but with a game in hand. “It will be another big game for us but we will be looking, with our vociferous home support, to get back to winning ways,” said Dunn later.